Alejandro is extremely special to us , When he was just 2 hours old we knew he had to stay ! 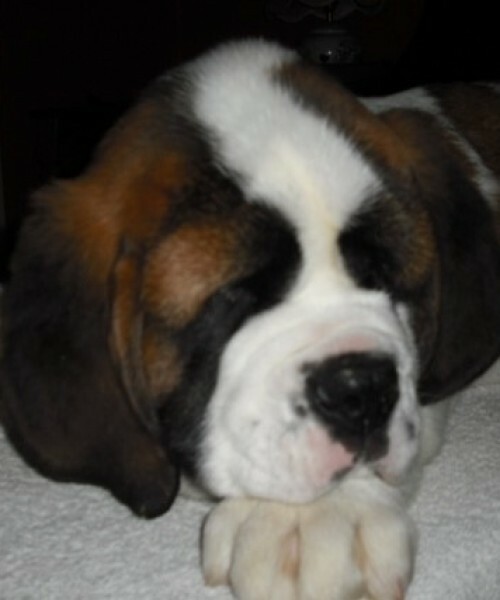 At the tender age of just 6 Months Old he won his First Green Star (CAC)under a Breed Specialist from Finland , beating adult dogs and Champions more than 3 times his size . 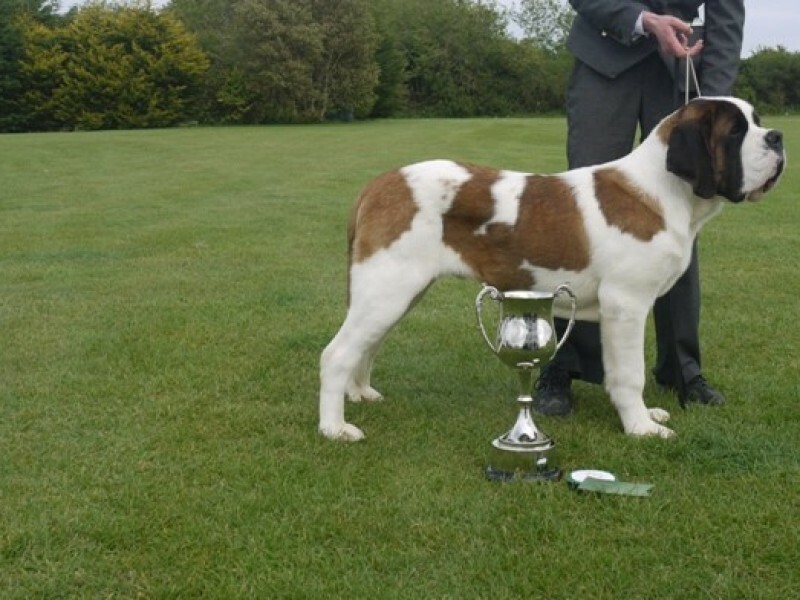 His other Green Stars and Best Of Breeds quickly followed and this boy has now become an Irish Champion. More than half of Alejandro’s Green Stars have been won under Breed Specialists . We took him out of the ring for 7 months to allow him to mature and he hit the ring with a bang winning his last 2 Green Stars under well respected Best in show Judges. Alejandro is a Beautiful Male with the Most sweetest Temperament , The most Beautiful Head & Expression . 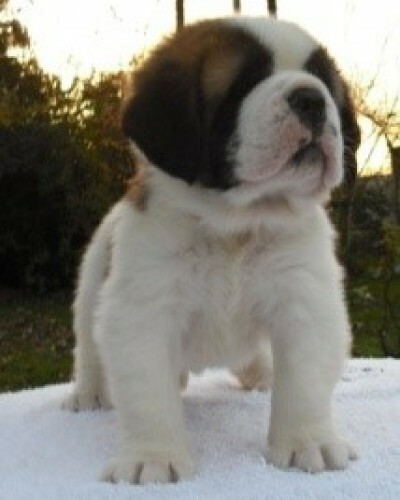 He is a Big boned well muscled boy showing extremely powerful movement and drive. 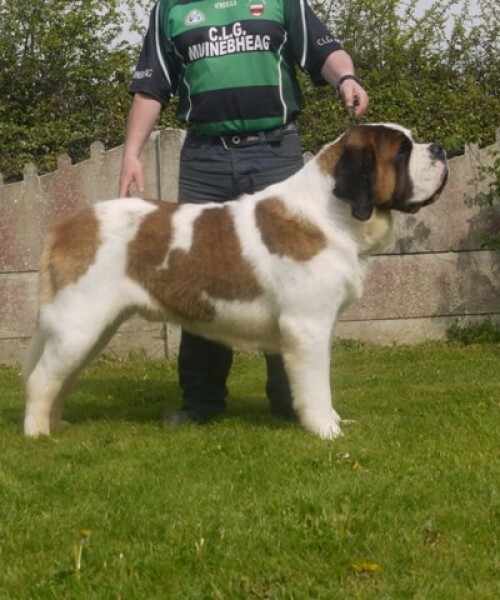 He was also awarded Best In Show ( Puppy ) at The Saint Bernard Club Of Ireland Championship Show under World renowned Breed Specialist Mr. Horst Vogel. 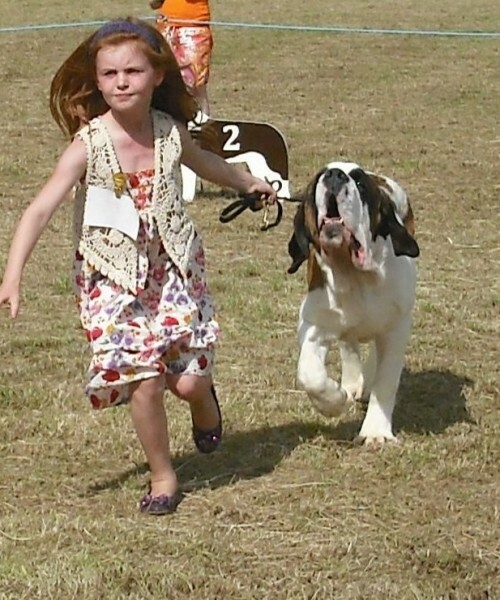 Alejandro’s father Utrillo was awarded the Green Star, Best Of Breed and Best In Show.